Typically whenever I enter a new environment I get a wave of questions focused on infrastructure, patching, software, and OSD. More specifically the OSD questions, are how to track the TS, how to make the TS better, and how to troubleshot the TS in the event of a failure. This blog-post I will let you know what I use from the community & as well as the SQL Logic that I prefer to use to track the OSD process. I have already written a piece that helps you “Reduce OSD Times“, but you should also check out the blog my buddy Gary runs at GaryTown as I have been incorporating more, and more of his logic into my TS. …Shoot I even stopped the way I do my wallpaper upgrade screens/lockouts b/c his way is more efficient lol. Most of my customers typically have high turnover on the engineering staff so nobody onsite really knows much in depth about SCCM, or it’s some guy who just inherited the infrastructure and needs a hand to make things run smooth again. These are the community tools that I like to use to help me educate the customer specific on tracking the OSD Task sequence. OSD Dashboard by Thomas Larsen – Super helpful when trying to calculate how long customers OSD process takes, and where we can create improvement. I try to get my Tier 1 support to run this report to help them better understand the OSD Process, and to aid in their troubleshooting. This has some awesome visuals b/c management always loves visuals….and this is something else that I implement on DAY 1 at customers sites. Task Sequence Monitor by Trevor Jones – This is just an awesome tool that tracks status messages from your specified OSD Task sequence…the best part is it is free. I think all of the tools I listed above are great and that I stand behind them. In my day to day when I am designing a TS, or tracking 1 specific computer I typically prefer to just have SQL open and track directly that way….for me it’s just quicker, and I’m way more comfortable with SQL today than when I was 3 years ago. At any site I go you can always find me with my head buried in the ConfigMgr console, and SQL….usually saying whyyyyyy me lol jk. I like to do take the query below and modify for your specific needs so obviously. I typically need to look at specific systems, groups, steps, in the TS so I keep those ready to go in my where statements….just commented out. 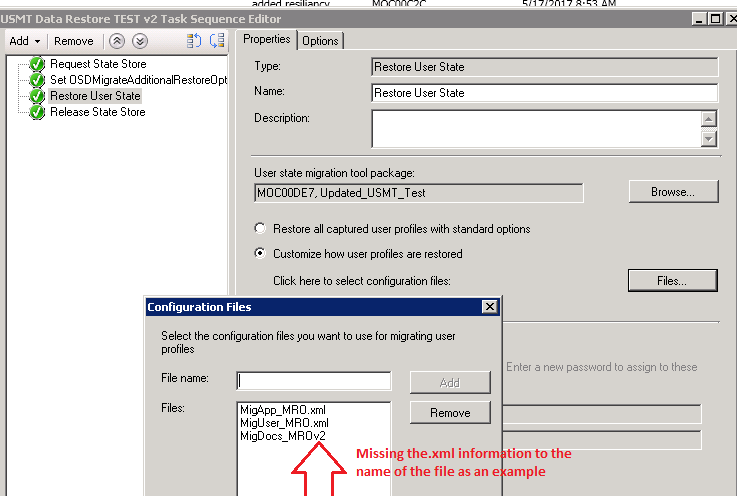 When you copy and use this SQL Query make sure you are connected to your ConfigMgr DB, and specify your TS name, and the name of the specific machine you are looking up. In a future blog-post I will finally release my “14 pg OSD Troubleshooting Guide” that was created with Khalid Al alul , and Ricky RIchard who are 2 other well-known SCCM Guys in the Pub-Sec space…. NOTE: we can make this sql fancier, but for purposes of this blog-post….let’s not. This has proven in multiple environments that I have been to save 20% – 50% on certain steps, such as download/apply the OS. Also note that by default configmgr while in WinPE will run power setting set to balanced, so making sure we use all resources we can see a major win from this piece. I also set this to prvent systems from going to sleep during the TS. By default the SMS Host Agent (CcmExec) service is set to a delayed start. So every time you restart the system during the OSD Process and you see the “initializing System Center Configuration client” you are just costing time. In my environment this message would usually last 2 – 5 minutes each restart. 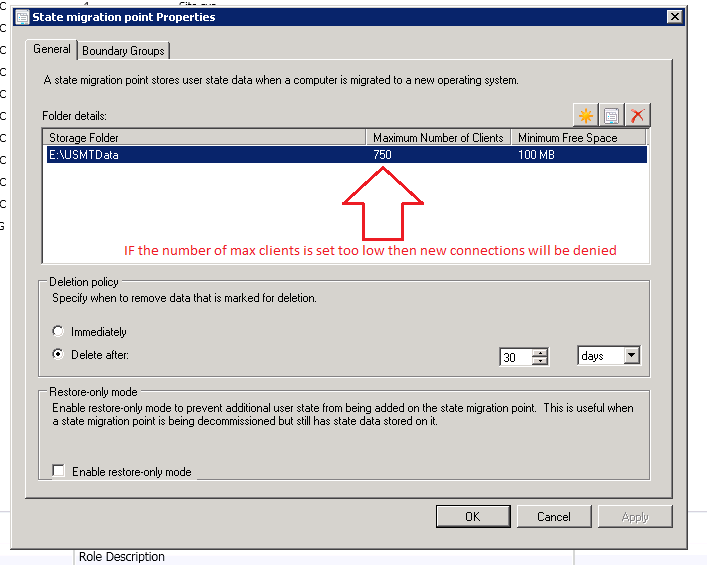 Once I implemented this we noticed the configmgr client would only take < 15 seconds to initialize, that is a savings of 800% – 2000% for this specific task sequence action. Frank Rojas whom is one Microsofts CSS Lead OSD Engineer has let me know that this has POTENTIAL for failures in a TS. So please know that if you use this step please understand it is not supported by Microsoft. I have not personally seen any problems with this, but I do understand there is possible for OSD failure as a result. By default when you add a restart computer step into the TS the time is set to 60 seconds. Simply by un-checking the “Notify the User before restarting” box you now force the restart immediately. Should you need to actually display a message you can just reduce the amount of time this box is displayed. I have seen several customer environments that had 8 or more restart steps in their TS. Whenever you have a restart in a TS you can assume usually 2 – 5 minutes are added to the total TS time. I would recommend investigating the status messages for exit codes indicating a restart is necessary before you start modifying a customers task sequence. Many of my peers usually have only 2 or 3 restarts in their TS as they have streamlined their deployments. This will of course help you out on the install software update steps in your TS. The more patches that are in your WIM, the less to process later. I tend to bake office and patches into the WIM. I’m not a fan of having really thick images loaded with several 3rd party apps that can be installed during ts. This should be another no-brainier idea, but you will be surprised. I’ve seen customer environments where a machine from the east cost USA would pull down images from the middle east….like there is literally an entire ocean btwn the DP and the workstation..
On my test experiment the OSD process would take around 100 – 110 minutes…that’s nearly two hours, and wayyyy too long. I like to use Thomas Larsens OSD Dashboard when I keep track of some Task sequence information like this. Please check out his blog here. I believe this dashboard is a must have for every SCCM admin. Screenshot after changes OSD Time. We see below that this has been reduced to 36 minutes. I am positive I can actually get this to 32 minutes or less, but for now I will leave good enough alone. This test shows that we have cut the OSD time to less than 1/3 of the time. I’ve been in other environments where they had the image process take 24+ hours, but that is mainly boundary related issues. Power settings: I kind of have this littered everywhere in my TS before major time consuming steps like apply OS, install patches, install apps, etc. SMS Host Agent Start-Up Properties: This only needs to go in 1 place right after you install the SCCM Client. Dynamic Variables: I have all my variables set here. These are for resiliency, and speed. This customer has unnecessary restarts in their OSD design, and were not very streamlined. Things in this version of the TS can be easily baked into the WIM on the next image refresh with the build/capture TS i provided for the customer. There are things that are slow during this TS like install Visual J+, or .Net Framework 3.5 that would reduce the OSD time if baked into image. I still have unnecessary install software update/restart steps in the TS as a sort of catch all. These systems come out fully patched, but are left enable in case I do not get time to capture and test a new wim one month. I have seen in the SMSTS.LOG where systems would try to reach out to windows updates for patches instead of staying within my environment. This can be changed via registry modification…I have this in place in my environment but did not capture screenshots when I saw it in the log files.